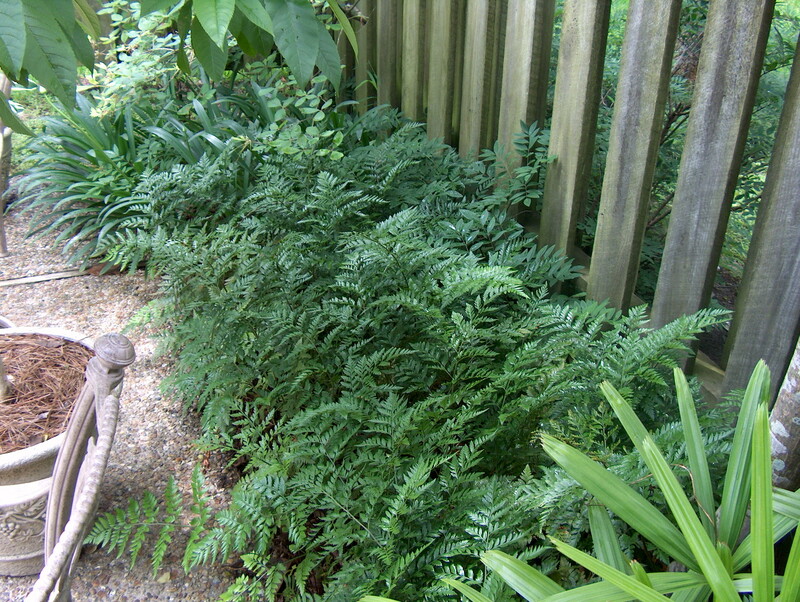 Comments: This is an excellent permanent ground cover fern for relatively small spaces. The leathery, triangular evergreen fronds make excellent cut foliage for floral arrangements. Spread is relatively slow by stolons that grow in the humus. Plant ferns in moist soil rich in organic matter.